Card Text Play: Ready a Mars creature or stun a non-Mars creature. If there are no creatures in play, can I still play Squawker for the Æmber bonus? 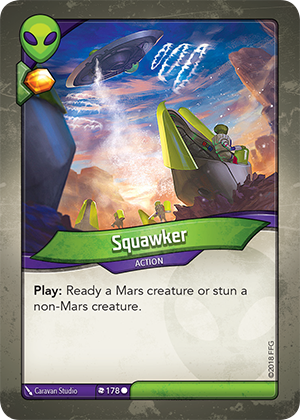 If there are no Mars creatures in play when I play Squawker, do I have to stun a non-Mars creature? What if my opponent has no creatures to stun? Yes. You always resolve as much of an ability as possible. If there are no Mars creatures in play, you must stun a non-Mars creature, even your own if your opponent has no creatures.